On today’s show we welcome Jason Moore, award-winning digital artist and co-founder of Midnight Oil Productions. Jason defines the meaning of visual imagery in worship. Find out how Midnight Oil Productions was founded. Discover more about Jason’s spiritual journey into ministry. Examples of how we can share the gospel visually today. Why imagery is the native language of most of our brains. Advice for demonstrating the power of visuals to resistant churches and tips for converting resisters into allies. The importance of designing worship for your target audience. Learn more about Jason’s coaching and the seminars he offers. As an award winning digital artist, Jason Moore continues to establish new styles for visual imagery in worship that he hopes will help the church reach the culture we live in. Jason is known for his pioneering work in digital images for worship, and has devoted the last 20 years to developing professional, highly emotive graphics, animation and video that are being emulated in churches throughout the country. Along with Len Wilson, Jason co-authored the books Digital Storytellers: The Art of Communicating the Gospel in Worship, Design Matters: Creating Powerful Imagery for Worship, and Taking Fight With Creativity: Worship Design Teams that Work. In 2000, Jason co-founded Lumicon Digital Productions, a non-profit arm of UMR Communications and in 2002 established Midnight Oil Productions along with Len Wilson. Jason began work as a Media Specialist for the Ohio River Valley District of the United Methodist Church in Cincinnati Ohio in 2011. His work there entails coaching, personal one-on-one training, and vision casting. 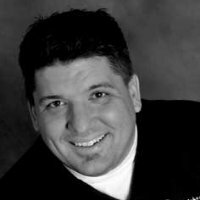 Jason is an adjunct professor for Northwest Nazarene University, teaching a course on visual communication for graduate level students. Jason graduated from the School of Advertising Art. He has been awarded Hermes, UMAC, and Telly Awards for his innovations in animation, design and illustration. Learn more about Jason Moore at Midnightoilproductions.com and LinkedIn.